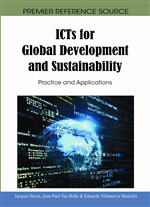 This chapter highlights the value and limitations of participative development employed in the implementation of an ICT-based research and development project in the Kelabit Highlands of Central Borneo. The first section describes the reasons for e-Bario project and why participative development, with a strong emphasis on the anthropological methods of immersion and Participatory Action Research (PAR), has been adopted as development approach in Bario. In the second section I interrogate participatory development as practiced in the e-Bario by bringing to light a number of problematic aspects of the participative technique, in which conflicts have arisen over the development process, and the interpretation of participation itself has been vigorously questioned. Later, I propose a relational view of the participative process, which suggests a shift of focus from technology to people and social relations. My argument is that a relational perspective of participative process can open up a social space for local people and developers to identify, cultivate and establish social relationships both within and beyond a project’s framework. It is these bonds of trust and obligation, developed and sustained over the longer term, that have allowed the Kelabit and the researchers to work out their social relationships to one another in matters concerning e-Bario.